There’s nothing like the electricity of a room filled with like-minded singers & creatives. The atmosphere changes and transformation happens. I speak at live events and conduct workshops for singers/creatives of all types who want to learn how to make a living using their singing/creative craft. And of course I conduct singing workshops for singers of all levels and walks of life to help bring about nothing less than vocal transformation. A question I get all the time is, “Kerri, how did you quit the corporate world and move into a creative career that actually pays the bills? !” I started my work life as a fresh faced uni graduate ambitious to climb the corporate ladder. Only to wind up disillusioned and on the brink of a nervous breakdown. My journey from corporate chick to international vocal coach/speaker has not been an easy one and in this talk I bare all. By the end of my story, you will be inspired to pursue that dream in your heart, be equipped with the how-to, and definitely no longer feel so frustrated and alone. It breaks my heart to see way too many musicians, singers and creatives in jobs that make them feel like they are serving a permanent death sentence. Why? Because they think they need a record deal / publishing contract, etc. in order to ‘make it’ as a creative. This is simply not true! I believe we are in most exciting times now, where we have access to all the tools (mostly FREE!) needed to launch a successful creative career. By the end of this session, you will feel assured that your dream creative career is entirely possible, be energised to pursue your creative dreams, and be equipped with actionable items to help you make it happen, starting now! I used to be a painfully shy and timid kid. I know this is hard to believe but trust me when I say I was not born with confidence. It has taken a lifetime of growth and learning to come out of my shell and flourish into the person that you see today. 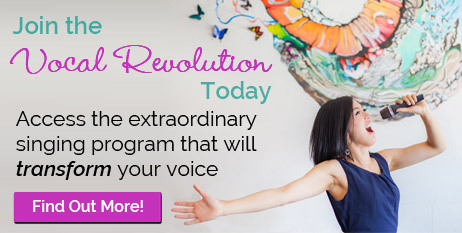 By the end of this session you will learn about the limiting beliefs that are imprisoning you, learn to replace them with positive beliefs that will bring you freedom, and gain immediately actionable strategies to continue in confidence every day of your life. You get: Half day workshop with vocal masterclass and Q & A. You get: 2 hour workshop OR half day workshop with vocal masterclass and Q & A. You get: Full day workshop covering the essential elements of options 1 & 2, plus vocal health, confidence and overcoming nerves, with vocal masterclass and Q & A. You get: 2 hour workshop with vocal masterclass and Q & A. Please email my wonderful support team at support@thesongbirdtree.com with your specific request and details about your event. Please include who will be there, how many you are expecting, location and date. My team will then get back to you with more details of cost and my availability. I look forward to sharing a transformative time of inspiration, encouragement, creativity, learning and singing with your group!